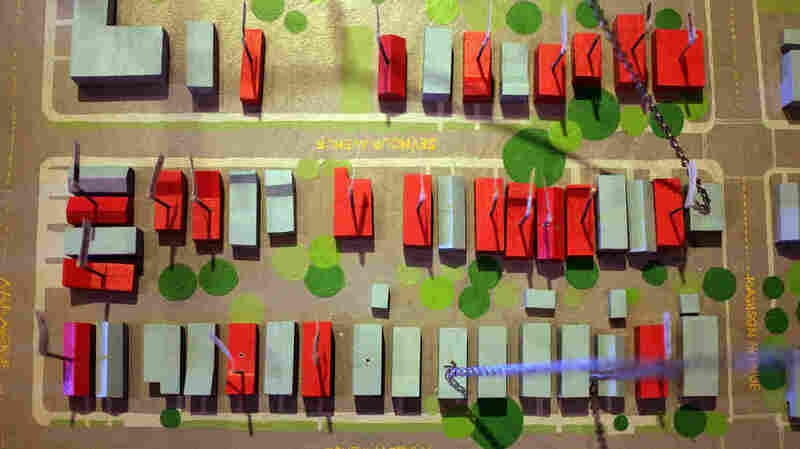 How High Debt From The Housing Collapse Still Stifles Our Economy Seven years after the subprime mortgage crisis, the U.S. economy has not yet fully recovered. Now two economists have come up with new evidence about what's holding the economy back. Real estate broker John Susani drives down a Paterson, N.J., street where every third house seems to be abandoned or boarded up. During the boom years, money flooded into Paterson. "The banking industry allowed everyone to be a homeowner; they gave mortgages to people [just because they were] breathing," Susani says. In some cases, he says, home prices jumped as much as 50 percent. The homes on these streets aren't worth nearly that much anymore. Seven years after the subprime mortgage crisis, U.S. economic growth remains subdued, despite significant ongoing help from the Federal Reserve. Now two economists have come up with new evidence about what's holding the economy back. 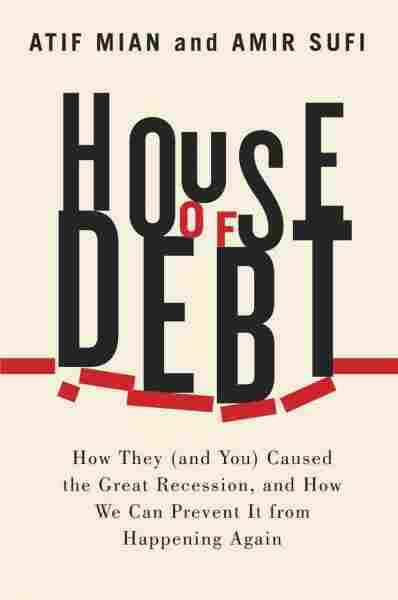 In their book House of Debt, Atif Mian and Amir Sufi say consumers remain constrained by debt they took on when times were good. In the volatile months after the subprime crisis, the Bush and Obama administrations put a lot of energy into stabilizing the financial system. The idea was to keep the banks healthy so they'd lend more. In a sense the policies worked — the banks gradually recovered. But the economy remained sluggish for a long time. To understand why, says Princeton economist Atif Mian, you have to look at debt. Household debt doubled between 2000 and 2007 to $13 trillion, according to Equifax and the Federal Reserve Bank of New York, and much of it was taken on by working- and middle-class Americans whose incomes were flat or even falling. "So you had a situation where even though people were getting poorer in terms of their real wages, they were taking on more and more debt," Mian says. He says a big part of the problem is that so much of the debt went into mortgages and home equity loans. He says mortgages are inherently risky for borrowers — when house prices fall they can quickly lose whatever equity they've built up, but still have to pay the bank what they owe. And he says by late 2007 prices were falling and a lot of people were in over their heads. "When that realization sets in, what is going to happen with the borrowers?" he says. "Well, they are going to cut back on their spending and save." And Mian says that's what a lot of people have done. In their book House of Debt, Mian and his co-author, Amir Sufi of the University of Chicago, looked at economic data in different zip codes across the country. And they've documented something that a lot of people have long suspected: Debt has a corrosive effect on the economy. Atif and Mian found that in places where housing prices were flat, including Texas and the Midwest, consumer spending has been pretty stable. But in places where house prices fell the most, consumer spending plummeted. In Paterson, many homeowners were wiped out. They slashed their spending, and many local businesses failed. And what happened in places like Paterson has happened many times before all over the world. Mian says periods of very high household borrowing, such as the U.S. in the 1920s or Japan in the 1980s, often have been followed by steep downturns. "We have seen this over and over again, where a rapid rise in private debt, household debt, is very often followed by a deep and longer recession," he says. Mian says when this happens demand falls and it's hard to revive it, even when the Fed lowers interest rates to the floor. House of Debt argues that the Obama administration should have worked harder to help struggling homeowners pare down their debt, even if it meant forcing banks to forgive part of their loans. Former Treasury Secretary Larry Summers, who led President Obama's National Economic Council from 2009 to the end of 2010, said in his positive review of House of Debt that such a plan never would have passed Congress. "There was essentially no chance of it getting the requisite 60 votes in the Senate, where we were not even able to muster a simple majority," Summers wrote in the Financial Times. "Should a more Herculean effort have been made? Perhaps. But the president and his team felt that in a world where many legislative battles lay ahead, a failure ... would be costly in time and political capital." But Summers also praised Mian and Sufi's book for bringing more light to what happens when consumers are encouraged to borrow too much, the impact of which we're still seeing today. "All future work on financial crises will have to reckon with the household balance sheet effects they stress," he wrote. "After their work, we can still believe in the necessity of financial rescues; however, we can no longer believe in their sufficiency. And after their work, we have an important new agenda of reforms to consider if future crises are to be prevented."